'Since the inception of the Syrian uprisings, the Syrian régime has had an implicit justification for its violence: the protection of minorities. The réegime has never been open about this, yet it is there. The justification reveals the dual structure of the Syrian state under the Assads: there is an outer, public discourse of national unity and an inner, publicly unexpressed discourse of minority protection and a minorities’ alliance. After eight years of war in Syria that saw savage oppression, genocidal massacres, and the rise of brutal extremist groups, the régime’s claim that it must exist to protect minorities proved to be a self-fulfilling prophecy—at least for a while, especially between 2013 and 2016. This reality has emerged not because the “protection of minorities” was necessary to begin with, but because the Syrian régime’s strategies, response to the uprisings, and role in the civil war made it all but inevitable. The temptation to give the Syrian régime credit for protecting minorities must be refuted and resisted. The truth is rather the opposite: the régime’s top priority is to protect itself, using minorities as a shield. The entire minority-versus-majority narrative in Syria is one that the régime carefully crafted long before the uprisings of 2011 began—indeed, since the 1970s. It fashioned this narrative on a pattern inherited from colonial powers, which had earlier cast themselves as protectors of minorities throughout the Levant. To understand the possibilities for a better future in Syria, activists and analysts need to unshackle themselves from the false narratives and fears of inevitable minority persecution. This is not an easy task, but the cycles of violence and repression in Syria will continue until its politics can confront a very basic truth: what Syria needs is not a politics of minority protection, but civil and economic rights for all on the basis of citizenship, neither enhanced nor restricted by the divisive identity markers bequeathed from the colonizers and reinvigorated by the Assad régime. This report draws heavily from an essay I first published in Arabic in early 2013, when I was still living underground in Damascus. It was motivated by a March 2012 statement by Sergey Lavrov, the Russian foreign minister, warning of “Sunni rule” in Syria. I wrote the essay believing that my experience as an activist and intellectual contemporary to the Assad family rule during half a century gave me an important perspective on the historical and political origins of what I called “minority politics” and its implications. Needless to say, the régime never commented on Lavrov’s flagrant comments. Nor, of course, did it comment on Iran’s pretext for intervention in Syria—protecting Shia holy shrines—which recalled the Crusaders’ justifications for their destructive campaigns almost a thousand years before. What might seem more surprising was how little Lavrov’s comments, and others like his, were questioned from other quarters. Not a comment was heard from any Western government, international analyst, or anti-imperialist leftist. Indeed, in the years since, there has been continued silence on comments like Lavrov’s and the logic underlying them, even from groups and individuals who should have been in a position to give a critique. This report is thus an attempt to fill a years-old gap in the discourse on minority protection in Syria. Much has changed since 2013 when the essay that inspired this report was written—not least, the Syrian revolution has been defeated on the battlefield, without qualification or any hope for military miracles. But the fight over the rhetoric and analysis surrounding Syria’s uprisings, society, economics, and politics is far from settled. There is still time to understand the truth behind the violence. There always will be. But now especially, the time is ripe for developing a fact-based and truthful explanation of the régime’s resilience—one that reveals the way it has sold out the security and happiness of the Syrian people in order to ensure its survival. Since the inception of the Syrian uprisings, the régime and its Russian backers have clung to a justification for their violence: the protection of minorities. Even as the rest of the world has disavowed any sympathy or support for Bashar al-Assad, it has come to endorse his claim of minority protection. And at least for some outside observers, the war in Syria seems to have borne out Assad’s claims that he and his ruling clique were standing between majoritarian extremists and the annihilation of Syria’s “mosaic” of ethnicities and sects. According to the inner, publicly inexpressible rhetoric of the régime mentioned above, this diversity stands arrayed against the overwhelming menace of the Arab Sunni masses, descending mostly from rural areas, and their extremist foreign backers. Various insurgent groups seemed to provide proof for the régime’s position. The Islamic State provided the most famous example, but other militias also ruled over conquered populations, with brutality visited on non-Sunnis and Sunnis alike. Western media has bought into this story, almost completely. Even its insistence on the use of the name “Islamic State” or the “Islamic State in Iraq and Syria” lends an implicit legitimacy to the narrative: the name can be misread as the Islamic state, a misinterpretation that the group is surely happy to have perpetuated. Syrians refer to the group as “Da’esh,” a word with ugly resonance in Arabic, which is hated and punishable by Da’esh thugs. “Da’esh” is thus a name that carries less baggage. While it is simply the Arabic acronym for “the Islamic State in Iraq and the Levant,” it does not have the sheen of “the Islamic State”—a name that bolsters the idea that the group is somehow the expression of the Muslim majority’s political ambitions, which of course it is not. For a while, it was more tempting than ever for some to give the Syrian régime credit for, at the bare minimum, being somewhat accurate in casting itself as the protector of minorities. Hundreds of thousands are dead. More than half of Syria’s prewar population of twenty-two million are now refugees or internally displaced. There have been countless atrocities in a war that has exhausted everyone connected to it. But the temptation to give the Syrian réegime credit must be resisted. This is a genocidal réegime, a quality that is inherent in its sectarian formation and the identity-based politics it has adopted, which dehumanize some people and “overhumanize” others according to their inherited denominations. Some 90 percent of the war’s victims were killed at the hands of the Assad protectorate and its protectors. Government forces monopolized war planes and weapons of mass destruction, organized a killing industry in Sednaya military prison (effectively a torture camp), and may have built a crematorium to dispense with the dead bodies. Notably, it is not only foreign powers that profess concern for the fate of minorities in Syria. Some Syrian intellectuals, too, adhere to this line of thinking, in one form or another. A common characteristic of such individuals is that they never prioritize the struggle for justice, democracy, and equality over their own elitist fears and privileges. One of the frequent grievances leveled against the Syrian revolution since its inception is that it failed to mobilize broad segments of “minorities,” or hasn’t sufficiently “reassured” them. 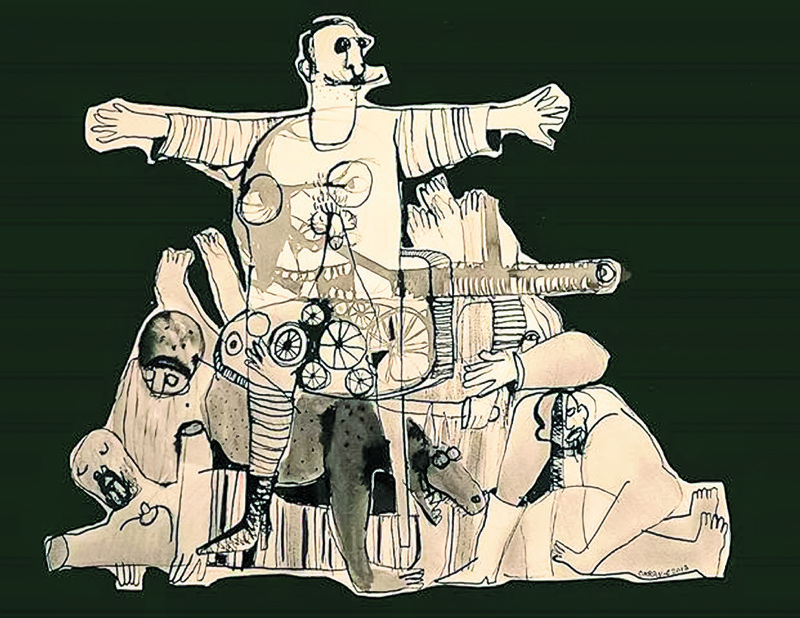 There is a clear link between the revolution, which these elites perceive as a possible tectonic change in the sociocultural geology, and a growing concern about the situation of minorities in a post-Assad Syria. Every time the régime is not quite secure, its industry of fear produces more of this commodity. The premise of “the protection of minorities” or “minority rights” deems the Syrian revolution to be essentially majoritarian and anti-minority, without a clear explanation for why that is the case, and without showing sensitivity to time and historical changes in the course of the last eight years and for decades before. The roots of Western “neutrality” toward the Syrian revolution are based in this premise. Most Westerners are repelled by the Syrian régime, but they are equally or even more repelled by the Islamic core of our societies. Many sectors of Western society have never reconciled themselves with Islam as a religion, especially those who identify the West with the Judeo-Christian tradition (a relatively modern concept that only gained wide currency after World War II and the Holocaust). The emphasis placed on “the protection of minorities” is a vocal implication of this amoral neutrality, which is essentially apathy. In fact, there isn’t one single majority in Syria. Nor are there static minorities, whose political and social positions are identical and whose defining characteristic is their being minorities in the face of a similarly static majority. There are different majorities and minorities, which vary depending on the criteria we adopt to distinguish between them. If the criterion is ethnic, the majority is Arab and the minorities are Kurdish, Armenian, Assyrian, and Syriac. If the criterion is religious, then the majority is Muslim, and the minorities are Christian and Yazidi. If the criterion is sectarian or doctrinal, the majority is Sunni and the minorities are Alawite, Christian (and their many churches), Druze, Ismaili, and Shia. But these are all static categories that Syria has inherited from its past, not dynamic categories of the kind that are supposed to distinguish modern, national, or democratic political sociologies. The subtext of foreign commentary on Syria is that these groups are the country’s innate political majorities and minorities, and that this reality reflects deep-rooted sociological features. This misguided premise is, in some ways, self-fulfilling—contributing to the formation of static minorities and majorities. However, these static differentiations don’t have equal political value. The Sunni–Alawite contrast seemed far more menacing during the Syrian-versus-Syrian struggle in the first two years of the uprisings than the Muslim–Christian one—which Western powers and Russia engaged in during the nineteenth century. It also seemed more dangerous than the Arab–Kurdish contrast—which has been ranking second in the list of the most politically grave dichotomies. The reasons for this are political, historical, and ever-changing, and are related to contemporary polarizations, transformations, and conflicts. One might assume from this logic that minorities are at greater risk when there is an identification between ethnic, religious, and sectarian majorities, constituting an overwhelming majority—which is the case with Sunni Muslim Arabs in Syria, who make up more than two-thirds of the population. But this abstract inference is disproved by reality. Syria’s Arab Sunnis are far from being homogenous or majoritarian, and there has never been an active identification that brings them together in a way that might threaten any minorities.7 What’s more, they weren’t regarded as homogenous in the brief modern history of the Syrian entity (1918–63) before the Ba’athists seized power. The regional, cultural, and class differentiations within this Arab–Muslim–Sunni component make the notion of an “Arab Sunni majority” of little to no political significance. Even within the broader organized religious Sunni spectrum, there are significant political differentiations, such as the Muslim Brotherhood, Salafis, and Salafi jihadists. I tend to call these groupings Sunni sects; taken together, they are minorities among the Arab Sunnis, and even more so among Syrians at large. The years of war in Syria, during which most victims, casualties, and displaced people were Arab Sunnis, underline the lack of merit in the assumption that there exists a unified Sunni majority, or even one that has convergent stances on public affairs. It has also been clear that a section of Syrian Sunnis has been supportive of the régime—maybe not in an active way, but still preferring stability and the status quo. While minority politics neutralizes or marginalizes atypical individuals from majoritarian backgrounds who do not endorse this politics, majority politics, whether in alliance with minority politics or not, marginalizes atypical Sunnis. It marginalizes them because it is based on mainstreaming an assumption that a typical Sunni Muslim is a pious believer who is socially conservative and politically Islamist, and ultimately close to either the Muslim Brotherhood or the Salafis. Indeed, Syria has already witnessed this outcome in the last few years of war, with nihilist elitist groups like the Nusra Front, Da'esh, and the Islam Army (“Jaysh al-Islam”) targeting many Sunnis who were deemed inadequately devout, or apostate. Partly, this is because the supposedly “typical” Sunni is hardly common at all. Estimating the percentage of Syrians who fit this “typical” mold is impossible. But it is certain that when international media reports that “70 percent of Syria is composed of Sunni Arabs,” it disguises a huge diversity of practice and identity within this “majority.” This is particularly noteworthy because an unreserved employment of the signifier “Sunni majority” can potentially involve a political agenda to impose homogeneity and sectarianization on Syrian Sunnis, and perhaps to recruit them in explicitly religious or even extremist groups in order to hold power. Without this process, the Sunnis of Syria do not constitute a “sect” (though it may be said that Islamists do). Islamists are a product of the contemporary historical crisis: a foundering of nation building, including the building of a modern sovereign state capable of war and politics. They aren’t exclusively a product of Syria’s inherited culture or that of Arabs, despite their ideology stating otherwise. Islamists are one facet of a crisis whose other manifestations include sectarianism and minority politics in general. As such, the problem of Islamists needn’t be tackled as separate from other problems of sectarianism and minorities, or as if solving the problems of sectarianism and minorities is conditional upon or a prerequisite for the solution of the Islamist problem. These are all different manifestations—rather than causes—of a forcible deactivation of social, political, and cultural dynamics. Islamists put forward the past as an answer to the questions of societies whose historical horizons are blocked by “politics of nature,” according to ancient Muslim scholars—that is to say, politics of sheer power and violence. In other words, these are societies that are stripped of their future but left with an open road to the past. The Islamic solution can alleviate a temporary Sunni resentment, but cannot form a new majority that serves as the basis for a nation of citizens. An end to the politics of eternity is a vital need in Syria and the Middle East. There is a basic practical principle that can be a valid starting point for change. This principle is that prospects to solve public problems increase when people’s engagement in the public sphere increases. The larger the number of public actors—regardless of their backgrounds—the greater our chances of overcoming static majorities and minorities. Large numbers encourage blending and diversity, as well as further expansion of the public sphere. The greater the number of publicly active citizens, the more likely they may belong to nonelitist milieus, and the higher the chances of “disarray,” “blending,” and de-sectarianization. On the other hand, the fewer the number of those publicly active, the more likely old differentiations may be activated and gain political and public value. Even if the existing régime hadn’t activated these differentiations to divide, and thus weaken, the population it controls, opportunities for social and political upward mobility under such a régime are inevitably dependent on the activation of these differentiations and capitalizing on them. Further, the fewer the public actors, the more likely they may be “identifiable”—in other words, the more likely they will be distinct or very identity-salient, and the more the system will develop an instinctive resistance to blending and hybridization. A sectarian instinct will prevail. Opening up the political system to large numbers—to “the people”—is the first step in overcoming the problems of minorities. Such an opening of the system doesn’t, by itself, ensure broader historical horizons that will automatically prevail over minority politics. But without an opened system, horizons cannot be unblocked. 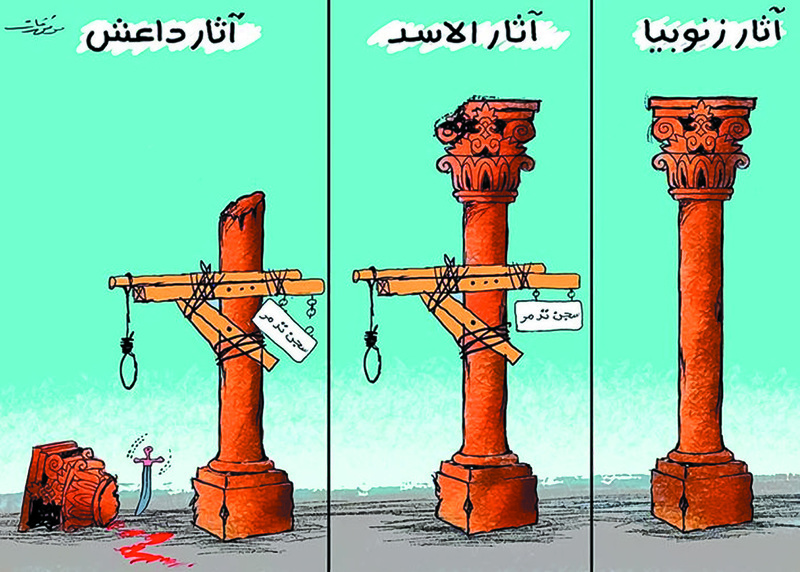 Unfortunately, such a system simply cannot be achieved in the current circumstances in Syria. A circle cannot be squared. We lost the battle for change in Syria; and the battle for democracy on the global level appears lost for good. I think we can now talk about a Syrian Question, because of its complex of sectarianism and religious rivalries and hatreds on the one hand, and, on the other hand, problems related to who the masters are—who has power and the right to kill people. Yet another issue is that of external interventions and imperialism. The Syrian Question is a monster. These three elements nurture each other in a vicious closed circle. Muslims aren’t the Christians’ problem, nor are Christians the Muslims’ source of troubles; Sunnis aren’t the greatest threat to Alawites, nor is it the other way around—as many sectarians would like to believe, religious and “secular” alike. Nor are Arabs endangered by the Kurds, or the cause of the Kurds’ frustration, as frantic nationalists like to argue. Such prescriptions solve nobody’s problems, and instead contribute to the problems and troubles of everyone. Minority politics will only produce more majority politics and sectarianism. They lead, at best, to “solutions” like a confessional system, and in all cases to a lingering catastrophe. 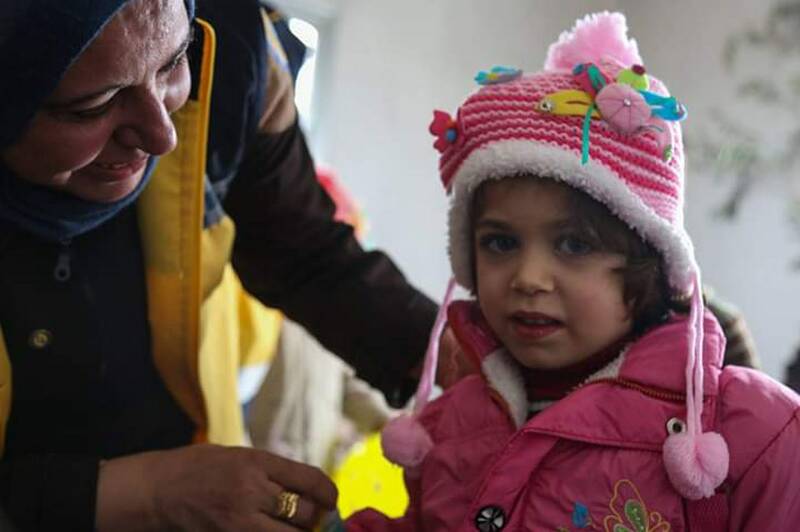 'For the past two years, I have been a member of the White Helmets, Syria’s search-and-rescue organization that saves civilians from the frequent bombings that plague the country, dragging them out from under the rubble and away to get medical treatment. In my years as a volunteer, I have seen terrible things. But some of the worst sights have unfolded over the past few weeks, in the time immediately following the eight-year anniversary of the Syrian revolution. Since February, the area where I live in northwest Syria has been under frequent bombardment from the Syrian régime and Russia, jeopardizing the lives of the approximately 4 million civilians in the region. Since February, at least 190 people have been killed as of April 11, according to the United Nations, with all of us fearing that the régime now wants to retake the northwest. My fellow White Helmets and I are continuing to rescue and treat the injured, but it is growing increasingly dangerous for us to operate. The Syrian Network for Human Rights reported that on March 9 and 10, two members of the White Helmets were targeted and killed in an airstrike, and I was forced to temporarily flee my home last month when it was bombed. Despite the danger, I refuse to give up my work, and I eventually returned, feeling I couldn’t abandon my city. Being a White Helmet was almost predestined for me. After graduating high school, I went to study nursing and then got a job at a public hospital outside my town of Khan Sheikhoun. When the revolution began, in 2011, I started volunteering to go out with paramedics and rescue teams to help people injured by the régime’s crackdown on the protests. I volunteered with a group of rescuers and doctors for almost a year; we’d provide first aid and any medical help that we could to help patients. Although I wasn’t earning a salary, and our financial situation was difficult, I refused to stop helping my community. During this time I became aware of the work of the Syria Civil Defence — also known as the White Helmets — and how they’d rush into the scene of a bombing and risk their lives to save others. I was so proud of them and thought there couldn’t be a more noble work than theirs. I learned from one of my friends, whose husband was a White Helmet, that they were looking to recruit more female volunteers for the women’s center in Khan Sheikhoun. My friends encouraged me to apply because of my long medical experience, but my husband feared the job would put me at risk. I pushed back and got his support, and I joined the women’s team in January 2017. When I first started my job, I faced opposition from the men in my family and my community who couldn’t accept the idea of a woman working in search and rescue. In their opinion, it was a job for men only. But that didn’t hold me back; I kept persisting and was able to convince them that a woman can do anything a man can — if not more. Because we live in a conservative society, male volunteers aren’t always able to treat or evacuate injured women or visit female patients at their homes, but we can. This is what encouraged the White Helmets to open women's centers all across the region, so everyone could access our services. Now, wherever my colleagues and I go, we’re met with nothing but respect and appreciation. 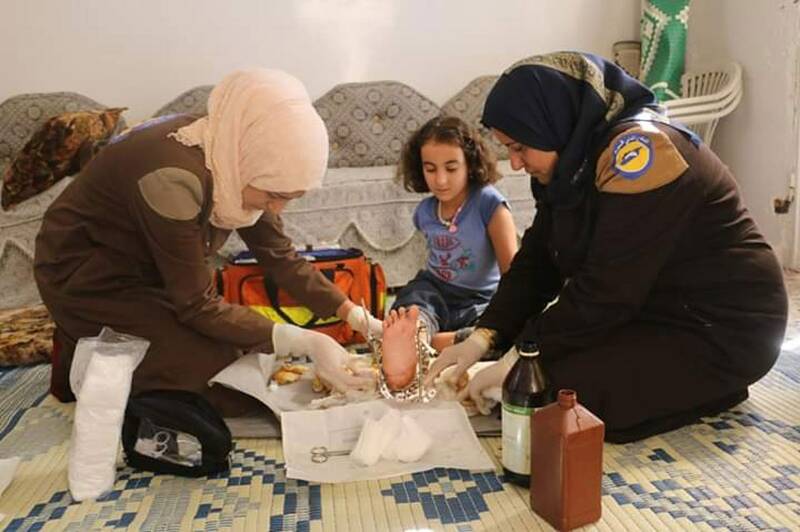 In the early days, I was one of eight female volunteers in Khan Sheikhoun, providing first aid and medical care mostly to women and children at our center and visiting patients recovering from their injuries at home. We would also go to schools and community centers to raise awareness of safety measures to take during airstrikes or if people encountered unexploded ordnance. Our goal was to train at least one person in each of our town’s households in emergency first aid. Our center, like all the White Helmets centers, was targeted several times by the régime. Every day was dangerous for us, and I came near death myself many times. But even I wasn’t prepared for the events of April 4, 2017, when the Assad régime targeted Khan Sheikhoun with chemical weapons. I remember it vividly. I woke up at 6 a.m. to the sound of three airstrikes. From my balcony, I saw people running through the streets and screaming, “Chemical attack, chemical attack!” I ran down to the street and stopped the first person I saw; he was driving a motorcycle and I asked him to take me to our center. I arrived to find the most painful scene of people lying on the floor choking. Most of the people were women and children. I can’t describe the horror of that scene in words. More than 80 people died. The ambulances brought so many women and children to our center, and my colleagues and I rushed to save as many lives as possible. We watched children turning blue because they were unable to breathe, pregnant women dying along with their unborn babies. The U.N. ultimately found the régime responsible for the attack, but to this day, it denies carrying it out. After the massacre, we didn’t even have time to rest and grieve because the régime kept attacking Khan Sheikhoun with heavy airstrikes that forced us to evacuate. I still don’t know how we survived that day. But despite everything we went through and the very limited resources we had, we never stopped working and serving our community. A few months after the chemical attack, the régime targeted the only hospital in town, bombing it out of service. There hasn’t been a hospital in Khan Sheikhoun since then, and we have to evacuate the critically injured to nearby towns and cities using our only ambulance. Can you imagine a city of around 100,000 people having no hospital at all for almost two years? Can you imagine that in an active war zone? I remember a child who was convulsing and needed immediate medical attention; he died on the way to a hospital in Maarat al Nu’man. Many doctors left to seek a safer life in other towns like Idlib. Our suffering has only worsened. As the régime and Russia increase their attacks on northwest Syria, we have been hit with artillery shelling, airstrikes, and cluster munitions. Many of the victims are the most vulnerable: women and children. White Helmets volunteers bring us the injured, and we either provide medical care or evacuate them to nearby hospitals. The régime has destroyed neighborhoods, forced more than 100,000 people to flee, and deprived us of our basic rights and needs. In my hometown, there are no humanitarian organizations working to provide relief, food, or shelter. Only the White Helmets are here to help those who stayed and can’t afford to go anywhere else. 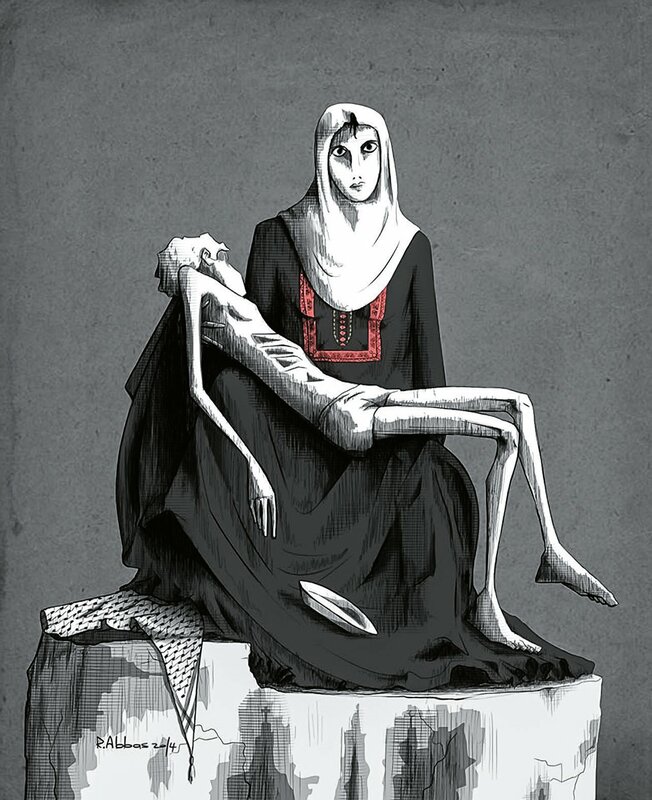 'Hassan’s family lost their house during the Nakba, the “catastrophe” of the forced displacement of Palestinians during the creation of the state of Israel in 1948, and ended up living in the Yarmouk camp on the edge of Damascus. Now, some 70 years later, the Palestinian's family is set to lose their home once again - this time to the Syrian government, under a law that threatens not only refugees, but also Syrians displaced in their millions by the country’s war. “I was told to wait and advised not to do any maintenance on the house because architects were going to evaluate the whole camp,” he said. “But some government employees have advised some of my neighbours to find somewhere else to live because it’s a waste of time. Most of us will be without homes, this is what everybody is saying. Law 10, which was passed a year ago in April 2018, was widely criticised because it initially gave people from affected areas just one month to prove ownership of their homes and prevent their expropriation. In November, Syrian President Bashar al-Assad issued an amendment to Law 10, extending the deadline for homeowners to one year. But continued concerns about the way the law is being implemented have left many convinced that its main aim is not rebuilding after years of war, but erasing any trace of political opposition. Many affected by the law said that the extension to the deadline counted for little because paperwork that would prove their ownership had either been lost or destroyed during the war, or because they faced intractable bureaucracy filing applications from abroad. Others said they believed the law was being used to punish those who had supported the opposition. “I am looking for a solution to what seems to be an impossible mission,” said Moaz, 52, from Aleppo, who like others asked that his full name not be used. Moaz said that he owned two homes and a grocery shop, inherited from his family, in the Salah al-Din neighbourhood of Aleppo which was held for years by opposition fighters and heavily bombed by pro-government forces. He said he had left Syria with his mother, wife, and three children for Konya in Turkey in October 2012, after being detained and tortured by government forces for participating in protests. Several of his relatives had also fought for the Free Syrian Army (FSA), he added. Though looted and damaged, Moaz was able to rent out the properties in his absence. But now he said they were once again under threat, this time not from barrel bombs, but from Law 10. “Even though the régime hasn’t yet confirmed all the areas that will be affected by Law 10, surely my house, which is inside one of the most devastated areas, will be included,” he said. In the rush to leave Aleppo as the fighting intensified, Moaz said he had left behind the title deeds for his properties. “After the law was announced, I started looking for solicitors to help me find a way to prove my ownership,” he said. “When I went to the [Syrian] consulate in Istanbul to obtain a paper in order to hire a lawyer back in Syria, I got denied after a security check. Nonetheless, Moaz said, he was also advised he could pay a “large sum of money” to a senior military contact to sort out the papers and prevent the properties being transferred to the state. Moaz said he did not plan to return to Syria to pursue his case, fearing government reprisals. Even civilians still in possession of the deeds to their homes said they had little hope of retaining them because of their political affiliations. 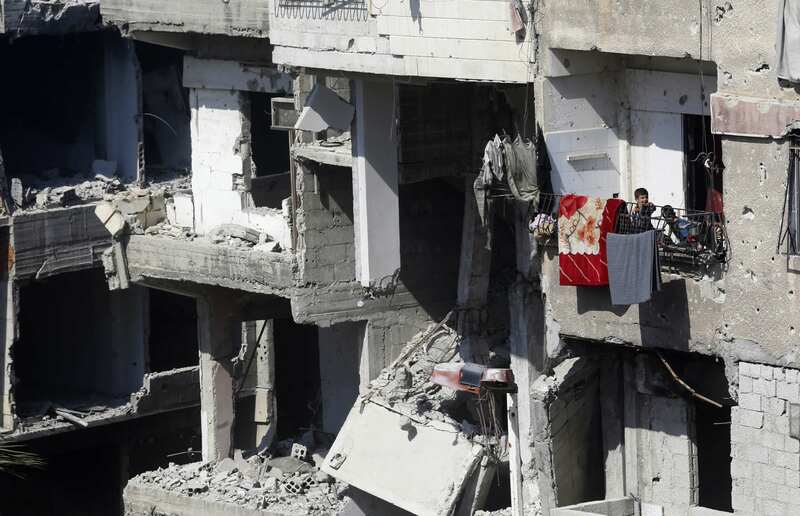 “Ever since this law was announced, our property in the Damascus area is on the edge of being lost,” Reda, 35, said. Reda, currently living in Hatay in southern Turkey, comes from a family well known for its opposition to Assad in the Ghouta neighbourhood. He said he had been looking for lawyers to help him sell his home. “As soon as they know my background they say: ‘Even paying a bribe won’t solve this’. The régime wants to wipe out our existence from the Syrian records,” he complained. Ghazwan Qrenful, the head of the Turkey-based Free Syrian Lawyers' Council which provides legal advice to Syrians, said that he believed Law 10 was being used to erase opposition in areas of the country that had rebelled against the government. While the declared purpose of the law is to reorganise and rebuild devastated areas, he said the government’s main aim was to “legalise demographic changes”. “This is bound to happen as there is no real international force or sanctions that can stop Assad’s government,” he said. Others complain that their homes are threatened even though they opted to stay in Syria and regardless of their political affiliations. Tahsin is a resident of Harasta, a suburb northeast of Damascus. He fled the town in 2013 amid fighting between pro-government forces and Jaish al-Islam, and moved in with relatives in nearby Masaken Barzaa. Pro-government forces regained control of Ghouta and adjacent areas such as Harasta in March 2018. “When I came back, my house was partly damaged but fixable,” he said. “After the law came into existence, since Harasta was included in the destroyed areas affected, I appealed to a court to come and see that my house was not that damaged and to re-register the rights to my house. Tahsin was told that the best he could hope for was six months’ worth of rent as compensation, or shares in whatever re-development project would be built where his house currently still stands. Qrenful, the lawyer, believes that Law 10 violates Syria’s constitution - which forbids the expropriation of property without a court ruling and payment of “fair compensation”. “[Law 10] resulted in a dramatic change of owners’ rights, turning them from owners of an actual house into owners of an equity that won’t be worth as much as the house itself,” he said. Qrenful pointed out that those set to profit were businessmen such as Rami Makhlouf and Samer Foz who have long been members of the Assad family’s inner circle, and who have already made fortunes from war-time business deals. He cites the case of Basateen al-Razi, where a presidential order forced residents to leave their homes in 2012, providing the displaced with compensation of just 15,000 Syrian pounds ($29) per month for six months to help them pay rent elsewhere. Basateen al-Razi’s buildings and farmlands have since been razed to make way for a new luxury neighbourhood known as Marota City, complete with large malls and an industrial zone built with the funding and involvement of Makhlouf and Foz. Qrenful also draws parallels between Law 10 and the redevelopment of downtown Beirut after the Lebanese civil war. 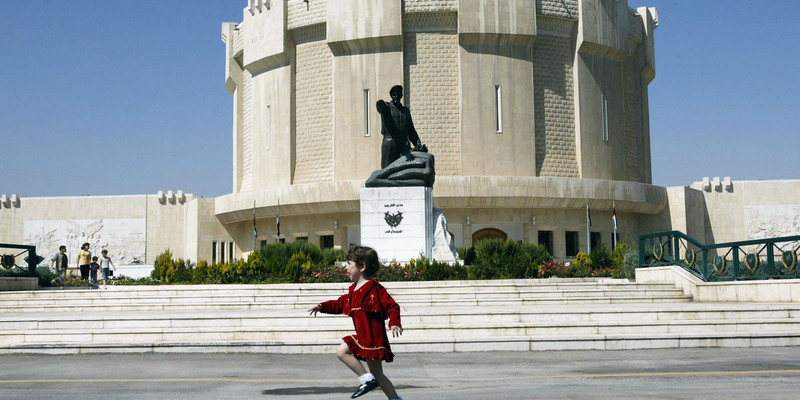 In the 1990s, Solidere - a company in part owned by then-Prime Minister Rafic Hariri, his family and close associates – bought cheaply a majority of the devastated centre of the Lebanese capital, only to turn the area into one of the most expensive areas of the city. Qrenful noted that the only thing likely to impede the construction of these brand new neighbourhoods was ongoing international sanctions preventing the sale of construction materials to Syria. In the meantime, civilians like Hassan, Moaz, Reda and Tahsin said that they felt helpless to prevent the loss of their homes. 'Fleeing war-torn Syria to Lebanon, Palestinian refugee Adnan thought he would find safety and a better life, but he is not out of danger. On the night of his escape, Adnan’s father had received the dreaded call from a friend to tell him “your son must leave Syria tonight, they are coming for him in the morning”, Adnan explains. Having taken part in civil defence work during the regime’s attack on Homs in 2011, Adnan was now on the government’s wanted list and only had a few hours to get to safety. Making his way to Lebanon, he became one of 120,000 Palestinian refugees who escaped Syria and headed to neighbouring countries. However, according to the UN, the 31,000 Palestinian refugees in Lebanon find they do not fare much better, rather they face a “precarious and marginalised existence”. Adnan made the journey to Lebanon alone after his Syrian wife, Rania, was traumatised by the war and left unable to cope following the birth of their first child, Karam. Rania abandoned the family and was smuggled to Sweden alone. One day while in Beirut, Adnan was set upon by a militia which he believes belonged to one of the two major Shia factions in the country; Hezbollah or Amal. They hit him on the head with their rifles but he managed to escape. 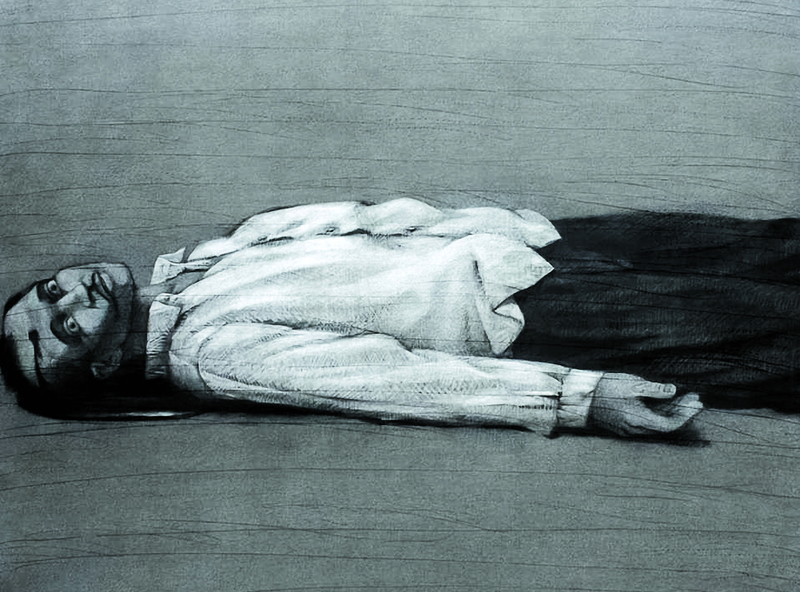 However even in the camp the Assad regime’s arms reached every corner, unknown men would turn up at the camp, search for him and ask about his whereabouts. Adnan had to leave his home and began to sleep at friends’ houses to avoid being caught again. Adnan appealed to Amnesty International, which told him it had been inundated with similar cases from both Palestinian refugees and Syrians who were living in fear in Lebanon. “I had nowhere else to turn,” he laments. The Syrian Network for Human Rights (SNHR) has documented 700 cases of refugees that have been kidnapped, imprisoned, beaten or even tortured in Lebanon. It says vulnerable refugees have been forced to limit their movement; making it harder to find work or earn a living. Lebanon is a signatory of the International Covenant on Civil and Political Rights (ICCPR) which prohibits arbitrary arrest; and the official line of the Lebanese government remains that it has played no part in the forceful return, abduction or killing of any refugees on its soil. However, evidence to suggest otherwise has been mounting, not least from inside the Lebanese government itself, perhaps showing signs of fractures within the system. Lebanese Minister of State for Refugees Affairs Mouin Merhebi told AP in November 2018 that Lebanon is forcefully returning refugees and that he had “personally documented cases of refugees” that were forced to return to Syria and were subsequently killed. He blamed the Syrian regime and its allies. SNHR says it has strong evidence to suggest that Syrian security forces provided Lebanese security forces lists of names, these people are later arrested, detained and killed. Due to the lack of activity in Karam’s life his mental development is that of a child half his age and he has learning difficulties. Many of his health conditions are a direct result of malnutrition and a lack of sunlight. Over the border, the Assad regime has regained control of most of Syria. For those who oppose the regime, like Adnan, this means return is not an option. Adnan doesn’t have the thousands of dollars needed to be smuggled across the Mediterranean Sea to Europe, nor does he want to risk his son’s life at sea. “My only option was to apply for asylum in a country outside Lebanon and Syria,” he explains. He was hopeful when in November 2015 Amnesty told him it was referring his case to the French and Swiss governments. UNHCR also referred his case to France for possible resettlement but it was rejected. In January, Adnan’s cousin who carries the same first and last name as him was detained and tortured to death. After hearing this, Adnan took his son and moved to an even more isolated area. 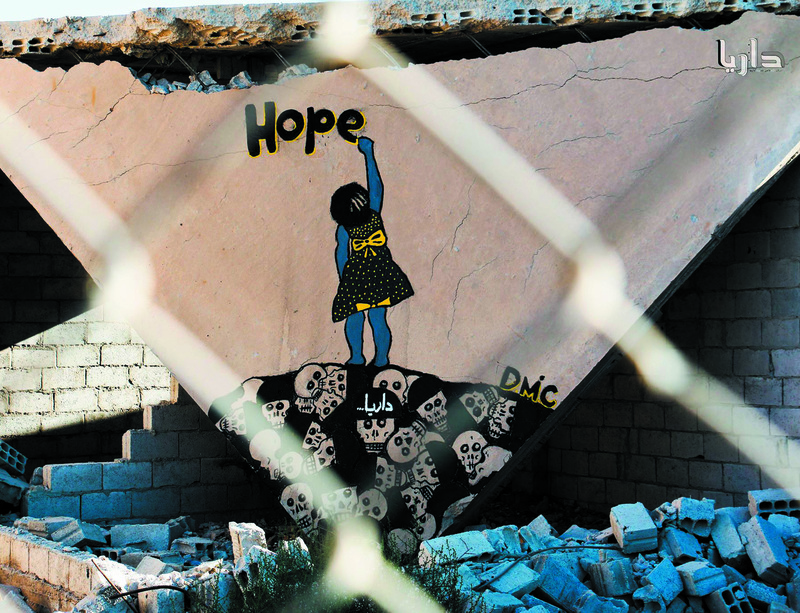 'In 2013 Sana Yazigi, a Syrian graphic designer from Damascus, launched the online archive The Creative Memory of the Syrian Revolution, consisting of works created by Syrian artists during the uprising. "From the early days of the revolution," Yazigi says, "I was amazed to witness an incredible outpouring of artworks. I didn’t want them all to disappear, to be forgotten. I wanted to keep a record. There was a sense of urgency, a need to document what was going on." The website documents paintings, music, graffiti, videos and cartoons among others, constituting an exceptional wartime archive. “Little by little, a list of works was drawn up," says Yazigi. "We were all running from the régime at the time, working anonymously in an atmosphere of mistrust and fear. Many of the artists were anonymous too. We’d discover their works on blogs and on Facebook. We documented everything we came across to add to the archives." 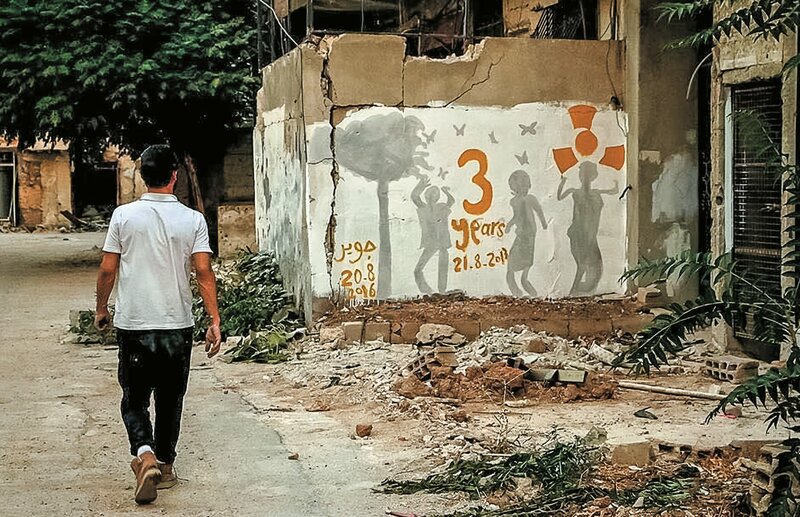 The Creative Memory of the Syrian Revolution continues to grow. The site’s second in-house production, MAP, links archive material to locations across Syria, connecting documents with dates, categories, keywords and authors. The website’s user-friendly second version introduces the Syrian people, giving voice to the dreams and tragedies of the revolution. One initiative, Idlib Walls, archives all the graffiti from the city of Saraqib found online. More than 360 artworks are presented on a timeline which is periodically updated. Yazigi says she will continue her mission. “Ultimately, we’d like to see our archive enter the national archives, because once the war is over, the history of the revolution must be given back to the people of Syria. The archive is part of our collective memory. The revolution has brought about clear social and historical changes”. 'For four years, Aeham Ahmad played a soundtrack to a devastating war. 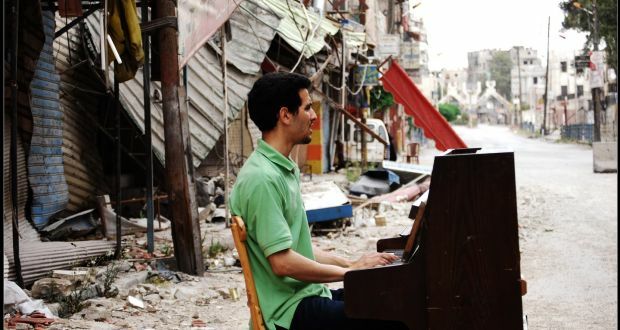 In the Palestinian refugee camp of Yarmouk, on the outskirts of Syrian capital Damascus, he wheeled out his piano to perform in the streets, often surrounded by children or neighbours looking for an escape from suffering and drudgery, during a long siege where many starved. “I tried to make my piano a bridge to transfer [what was happening],” he says of videos filmed to show the world outside what Yarmouk’s sorry residents were going through. Ahmad – who had never left Syria before 2011, when the war began – would address the camera, listing off problems, such as a lack of water or a plea for aid packages. Then, he would sit at his instrument – suddenly calm and concentrated, surrounded by rubble. 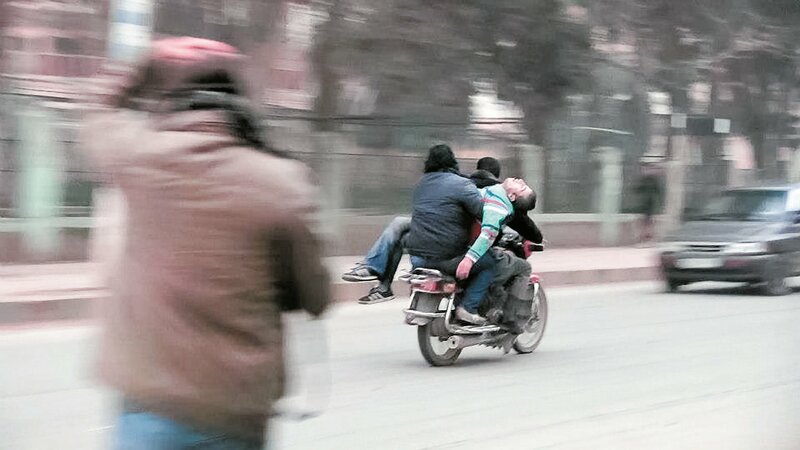 Videos of Ahmad were broadcast through social media, reaching people across the world. As Syria’s initially peaceful revolution turned into a protracted and bloody conflict, his videos were held up as proof of resilience, strength and the power of music in times of turmoil. Ahmad is now a refugee in Europe. His new memoir, The Pianist of Yarmouk, reveals a principled man with a history more complicated than any footage could have conveyed. When we meet this week, in a small seventh-floor room in Penguin’s London headquarters, close to the Thames, the slight 30 year old shows me his scars. He has one on his forehead and another on his hand, where a tendon was severed by shrapnel and sewn back together by a carpenter, who agreed to operate on him because the doctors had all fled. Mentally, Ahmad is also scarred: he thinks constantly of people he left in Yarmouk, which the UN branded a “death camp” last year; and Zaineb, a young girl murdered by a sniper, as she sang beside him. Ahmad’s piano was eventually burned by Isis. His family’s music shop, which housed thousands of instruments – 1,200 ouds, 600 guitars, and pianos – was bombed to pieces by Syrian régime forces. In 2015, unable to carry on any longer, the pianist finally fled Syria, crossing Turkey and risking death on the Mediterranean, before arriving in Germany. His wife, two young sons, and parents have now joined him. For Ahmad, creating the memoir was a kind of therapy. It took him four months to speak everything out loud, while working with writers who helped him hone detail that was at times almost physically painful to remember. “It was difficult and great,” he said. Ahmad’s finished book is a love story: to musicianship, but also to his dedicated father, a blind violin player, who pushed him to play music; to his mother, who sang sweetly every morning before the war began; to his wife and children; and to his community of Palestinian-Syrians, torn apart by an eight-year conflict. In Syria, music – like sport – has become a tool of war. In late 2017, I visited the Damascus Opera House. A vast building, it’s located on the same roundabout as Syrian state media, close to the music school where Ahmad took lessons growing up. By this, they clearly meant support for Syrian President Bashar al-Assad, whom the opera house is named after. One notable example of music as propaganda happened in 2016, when the Syrian régime, with Russian help, reclaimed Palmyra from ISIS. Afterwards, a Russian orchestra was flown to perform among the ruins. For refugees following the war from abroad, this symbolised the ever-closer relationship between Russian president Vladimir Putin (who was beamed in to the concert live, from Sochi), and Assad. For Ahmad, it was sinister. Even before the war, he says, music might not have been as political, but it wasn’t free. When protests broke out in 2011, peaceful demonstrators composed revolution songs on the streets. The régime responded with brutality and the protests spread. Soon afterwards, Ahmad became a YouTube star. Initially, he was anxious about being recorded, and astonished when the videos began to go viral. Later, he realised that the internet gave him a kind of freedom, bridging the gap between his Palestinian camp in Syria, and Europeans, who took a growing interest in his actions. Like many other Syrian refugees, Ahmad knows if he goes back to Syria he could be detained and tortured in régime prisons. His brother Alaa is already missing in one; he was arrested at a military checkpoint near the start of the war. The Pianist of Yarmouk is also dedicated to Alaa and Syria’s other political prisoners, including another friend who was tortured to death. Ahmad speaks passionately of them and his frustration that Europeans don’t understand Assad is one of the biggest threats, even if street fighting stops again. Ahmad speaks of the so-called Caesar photos, a cache which was smuggled out of the country in 2013 and shows the bodies of more than 28,000 people murdered in Syria’s prisons. Growing rhetoric that Syria is safe because Assad is regaining territory is reckless and dangerous, Ahmad says. Pushing refugees to return means many more will die. In Germany, Ahmad also struggles. Ahmad said he’s battling guilt, which can hit particularly hard when he’s on a stage, playing for European audiences, night after night. “I fight against myself because suddenly when you play every day a concert you feel you are a star, and I am not this one, and I don’t like to be this one,” he said. 'We swear by God, we won't remain silent over the blood of the martyrs. We swear by God, to protect our women and children and martyrs and land, until our last drop of blood. Until our last drop of blood. Until our last drop of blood. We shall be victorious, or die. As God is our witness. Well, the revolution is entering a new year of sacrifices. I'm here today in Maarat al-Numan, to mark the anniversary of the Revolution of Freedom and Dignity. A revolution of new life, an eight year old revolution entering its ninth year. With every year, there are more sacrifices, more blood, more martyrs, and more destruction. This increases our determination and commitment to the principles of this Freedom and Dignity Revolution, till the last drop of blood. 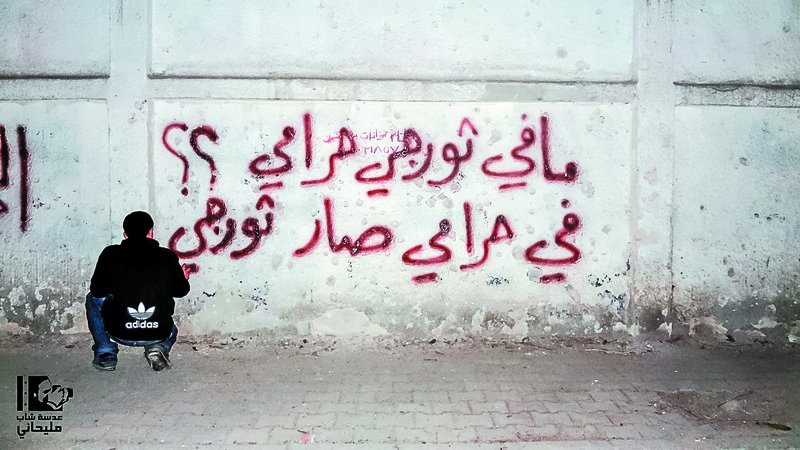 'I swear that we won't abandon the revolution. We won't abandon the detainees. I swear to God we will not betray the blood of our martyrs, or the cries of our detainees. As God is my witness. We chose Maarat al-Numan to renew the vow to our revolution in its eighth year, because the town is in our hearts. Every stone here has its story for us. The town has a special type of attraction for us. It has proven to be the revolution's unbreakable stronghold, and its good people are the rebels. They had us loving Maarat al-Numan more and more.